The Essential Skills course includes the two Basic Skills sessions and adds another six sessions. If you need Excel skills to get a job – but you’ve never used Excel before, this course will give you all the skills an employer would expect. 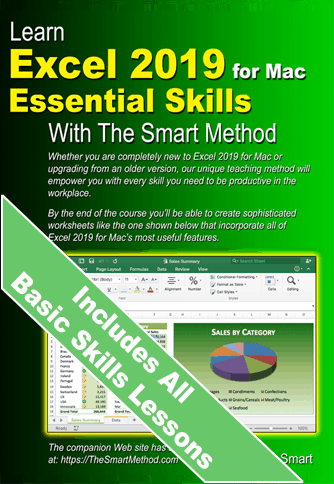 Also available for Excel 2016 for Mac. Also available for Windows Excel versions: Excel 2007, Excel 2010, Excel 2013, Excel 2016, Excel 2019 and Excel 365 as both printed books and e-books.